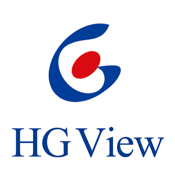 HGView is an application to view the documents and movie files in a company. A lot of convenient functions to utilize internal documents and movie files are available. You can use HGView wherever without network connection or 3G contract. Limitless hierarchy allows you to organize hundreds of documents. Add bookmark on any page. You can jump to and view only marked page. Scenario is a group of "Favorites". Creating a scenario allows you to view the necessary documents sequentially and quickly. You can make a presentaion anywhere. - Display PDF files such as drawings and manuals up to A0 size, or PDF files more than 100 pages. Specialized tool lets you create a secure database file containig many documents and movie files. Using HGView, you can view this created database file on iPad. In addition to Basic functions above, database offer you following functions. - Microsoft Office files, such as Word, Excel and PowerPoint, are automatically converted to PDF files. - Thumbnail view of not only folders/files, but pages of a file. - Many documents and movie files are contained in a database file. It's eady to handle. - More than one database file can be imported to HGView. - Each database file can have different authorization information. - Possible to set unique attribute data to each document and search them. * Specialized tool to create database files is a payware made as a Windows application. Contact our sales section for more information. * Database for demonstration is provided. Download it from our homepage. See our homepage for more information. Please send an inquiry to our sales section from our homepage.